Create unlimited coupon codes. Assign them to individual subscription levels and more. Annual purchase: Includes priority support, updates, add-ons. When you create a coupon code you can easily chose to make it valid for only one level, all levels, or any group of levels. Create coupons for sales, email promotions, and one time use. Set the type of discount, whether fixed price or percentage base. Set the max use of the coupon. 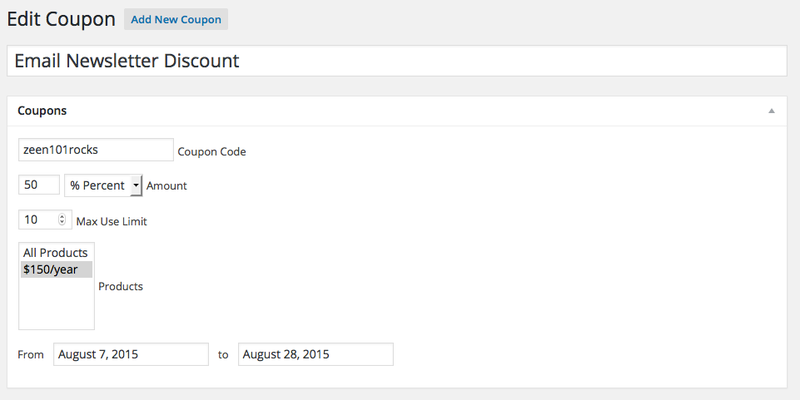 Also start and end dates for when the coupon is valid, allowing you to control when it expires. 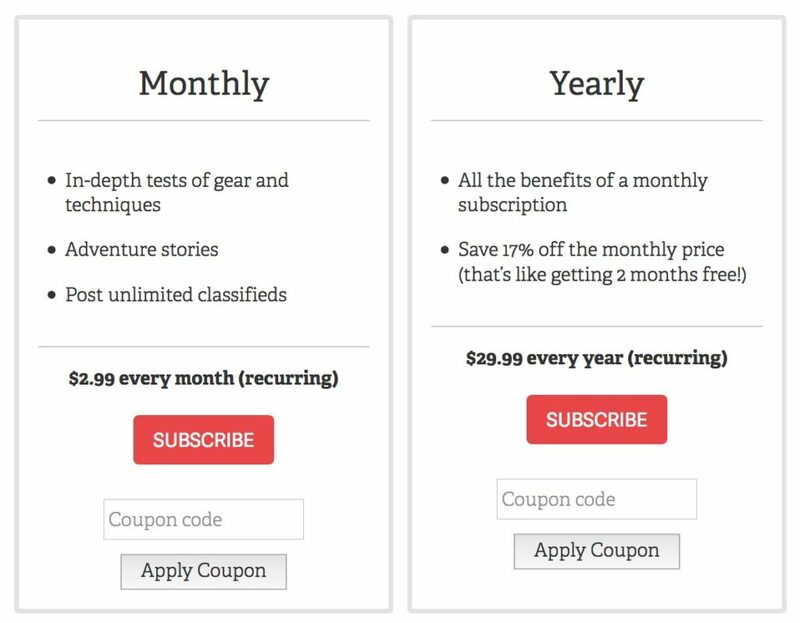 When a subscriber registers on your site using a coupon, you can see the coupon code they used right within the Leaky Paywall subscriber table.